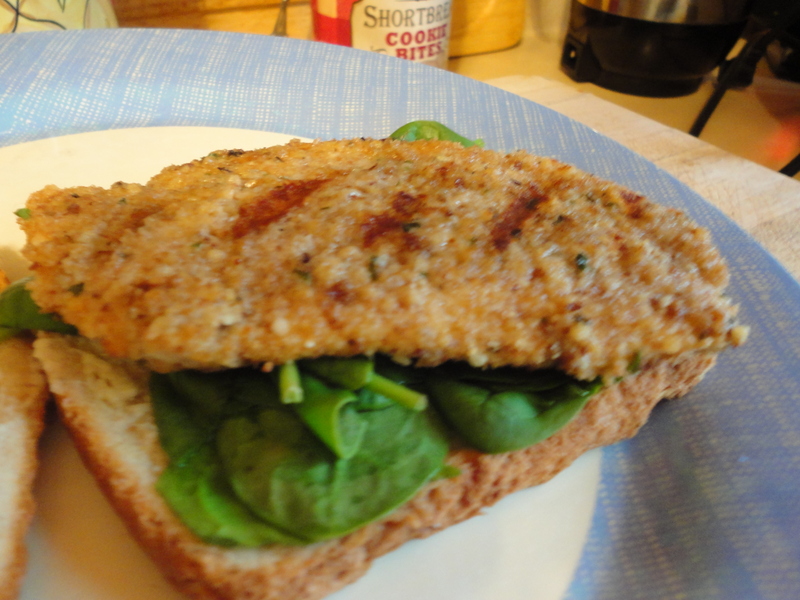 This entry was posted in Recipes, Uncategorized and tagged breading, chicken, fish breading, whole wheat by eatnew. Bookmark the permalink. I don’t cook much other than pasta, plain chicken, and sandwiches/salad. This recipe was really easy to make and is definitely the best homemade breaded chicken I’ve had. The first time I made it, I cooked to pieces of purdue’s individually wrapped chicken breasts. I had one piece in a sandwich for dinner and liked it so much I had the other piece late night after the bars. I made it two days later because it is very easy and makes plain chicken much more interesting and tasty. It was also good with pasta.